Karachi is full of tourist spot, it is just that we need to understand and develop the trend of tourism in this city which has a mix of old and new, modern and historical. However, tourism in Karachi is neglected by both the locals and government. Recently, I along with my few friends decided to visit manora island and beach for a evening. For this we went to Keamari Jetty to take a boat to manora island. 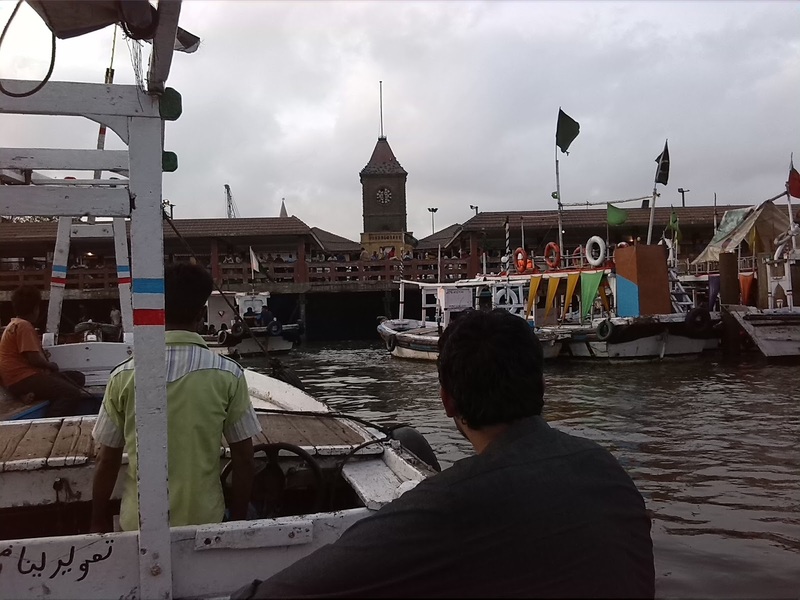 Many public boats flock to an fro from manora on daily basis with a one way fare of Rs. 50 / person. However, we decided to hire our own private local boat. After some barganing we hired a boat for 3 of us for Rs. 1200 (Rs. 400 / person ) for 2-way trip. We were accompanied by 2 other passengers, so the boat was sory of semi-private. 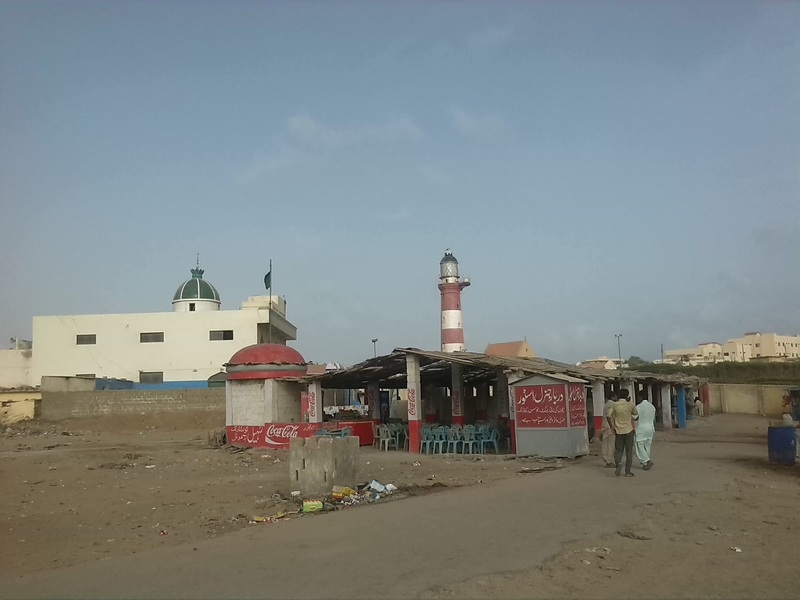 The trip to manora from Keamari takes about 20 minutes, and you dont really get a feeling that you are in deep open sea as manora is very much near the karachi port. Once we reached manora jetty, we paid the entrance toll to manora which was Rs. 10 / person. 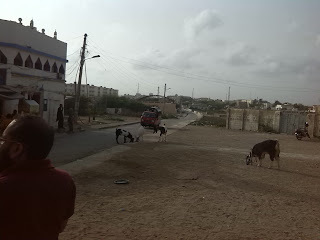 Once inside manora, it looked quiet impressive as the area is under pakistan navy. The roads were smooth and clean as per pakistani standards and many shops were selling drink, eatables etc. WE took a local suzuki carry to take us to the beach. The fare was Rs. 20 / per person. It took less than 5 minutes to reach the beach. Once we were at the beach area, it was worth the visit. The Road leading to the beach area. Clean and Crisp. The facilities at the beach were also an added advantage which you do not find easily in other beaches of Karachi. There were clean washrooms, place to wash your feet once you are out from the beach, and eateries. Manora Tower in the background. Eateries and Washrooms. The beach itself was clean, well maintained and many people were enjoying there on a saturday evening which is not a holiday. The environment and location seemed clean, impressive and secure. 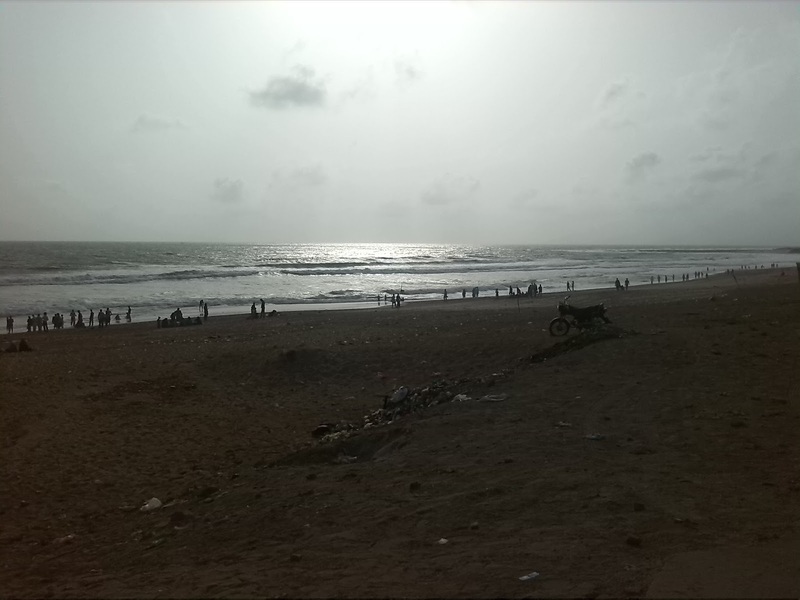 Since we were on a short trip, we spent less than an hour at the beach before heading back to karachi. All in all it was a memorable trip, and longer duration can be planned easily, as the place is easily accessible, secure and clean. So we took a suzuki back to the manora jetty, and headed back to karachi before sunset. if you just want to visit manora then public boat is ok - but on sunday it is over crowded. Better take a private boat, and you will be able to see other sports as well. If you want to go to Vietnam but don't have a visa yet, don't worry. We have the solution for you. You only need to visit this https://greenvisa.io site to get your visa immediately.